Our NEW Trade Platform Step Ladder offers unrivalled stability and safety when working at heights. 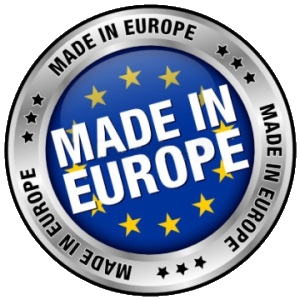 Manufactured in the EU by an ISO9001 manufacturer, our platforms are fully certified to the European Trade Standard (EN131) by the TUV testing agency (German equivalent of British Standards). 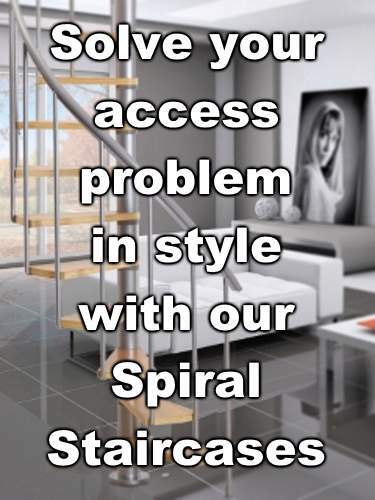 In addition, our steps come with a large non slip standing platform and a high safety handrail for your added reassurance - you will not find a better equipped range of step ladders at our unbeatable prices anywhere else in the UK. Manufactured in the EU to the highest standards and specifications by an ISO9001 accredited company – your guarantee of quality and durability. We only sell top quality ladders and have carefully selected this range of products so you can be sure you are buying the best! 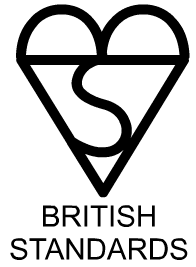 Many inferior ladders are being sold in the UK by small non-ISO registered companies who also claim their product has the British Kitemark – they do not! This is a quality and safety issue. Our Trade Step Ladder is certified to the very latest EN131 European Safety Standard (2017) – giving you peace of mind and ensuring that you comply with current legislation. 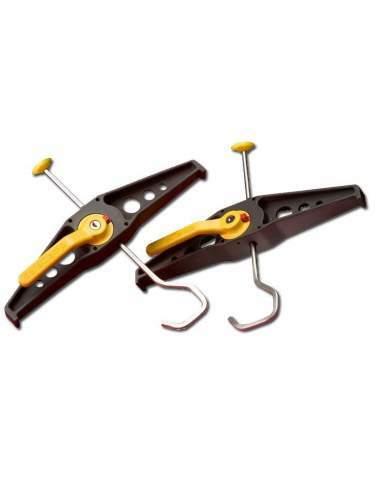 Additional rear support braces included for maximum stability along with a high safety handrail for added support. Some of our competitors sacrifice safety for a cheaper build quality – something we will never do. Fewer rear support braces make them feel ‘wobbly’ in use. We can’t find a competitor who supplies these Trade Step Ladders at anywhere near our prices. If you do, please let us know as we refuse to be beaten on price! Others charge for delivery or your ladder will take up to 5 working days to reach you. 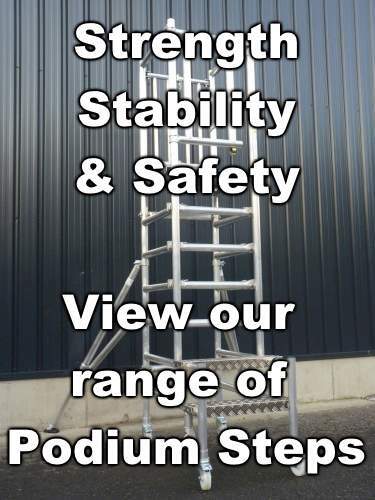 Lightweight but very strong alloy construction and great design gives our ladder these unique features and ensures the ladder suitable for use by almost anyone. 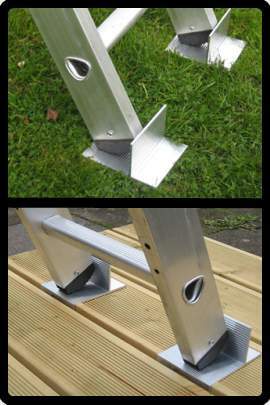 Aluminium construction means ladders will not rust and can be stored externally if needed. Folds flat for easy storage and transportation. Heavier ladders are difficult to use and no stronger than ours. Also, most others supply in a limited number of sizes. What is the total reach height on the ladders? 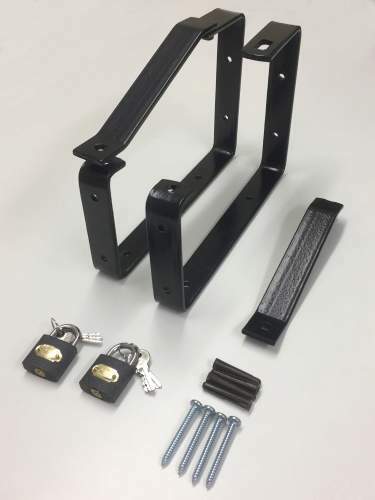 We give an approximate reach height, along with other detailed dimensions of all sizes at the bottom of the webpage in the ‘Price and Product Dimensions’ section. However, for a more accurate measurement, you can add the height of the user to the height of the platform. I’ve read online that you are meant to stand 3 or 4 rungs from the top on ladders, but in the photo the guy is standing on the top platform. Is this safe? Yes it is completely safe, because it has a platform and knee rail for additional support. On conventional steps or ladders, where there isn’t any added support, you would need to stand further down. Is the ladder suitable for outdoor use? Absolutely. The ladder is tested and certified to a trade standard so it can certainly withstand the demands of working outdoors too. 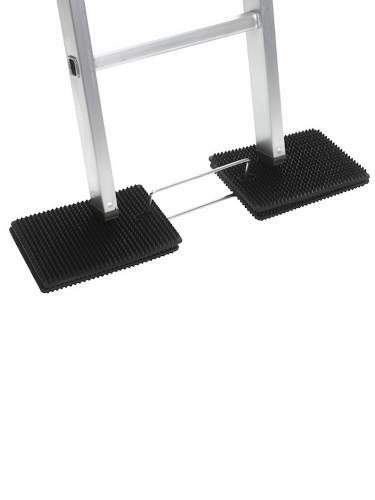 Our Platform Step Ladders are fully certified to EN131 - passing very stringent & rigorous tests. 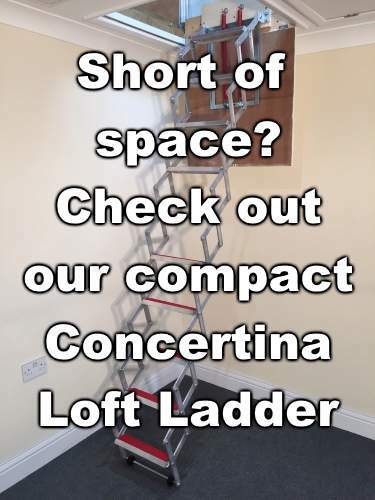 Other ladders only comply or are inferior DIY (Class 3) ladders or do not include our innovative and vital high knee rail for added reassurance and safety plus our brand new 'Handy' tool tray.